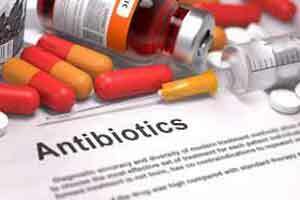 Miami : A US woman has died from an infection that was resistant to all 26 available antibiotics, health officials said this week, raising new concerns about the rise of dangerous super bugs. Tests were negative for the mcr-1 gene a great concern to health experts because it makes bacteria resistant to the antibiotic of last resort, colistin. It was unclear how the woman’s infection acquired resistance. “The report highlights international travel and treatment overseas as a feature in the introduction of this pan-resistant isolate into the USA,” he said. “Since we live in such an interconnected society, this is important because this isolate represents a truly untreatable infection” which leaves health-care professionals with few options but to seek to prevent further transmission. Indiscriminate use of antibiotics in big corporate hhospital is giving bad name to Indian doctors.we should have Medical audit for antibiotics.